So I build this E-Mail printer for my dad – https://blog.sebastian-martens.de/technology/email-printer/ to no longer read his mails for him. Of course you could do anything more useful or funny with it, than printing emails. Maybe printing the quote of the day. The weather forecast. Or any status updates. For the simple case let’s say we just use the standard USB-cable to power up the raspberry. For the Thermal printer you need a 5V power supply. As we do not need much computing power the first raspberry pi version A is still ok. If you have a newer version, this is of course no problem. At first we need to connect the correct cabels. The black and red wire of the Thermal printer need to be connected to the universal power supply for the Thermal printer. Black is ground/mass and red is for the 5V positiv connector. When you connected the power correctly the green light should be flashing and you could press the top button and a little paper sheet should be pushed out of the printer. 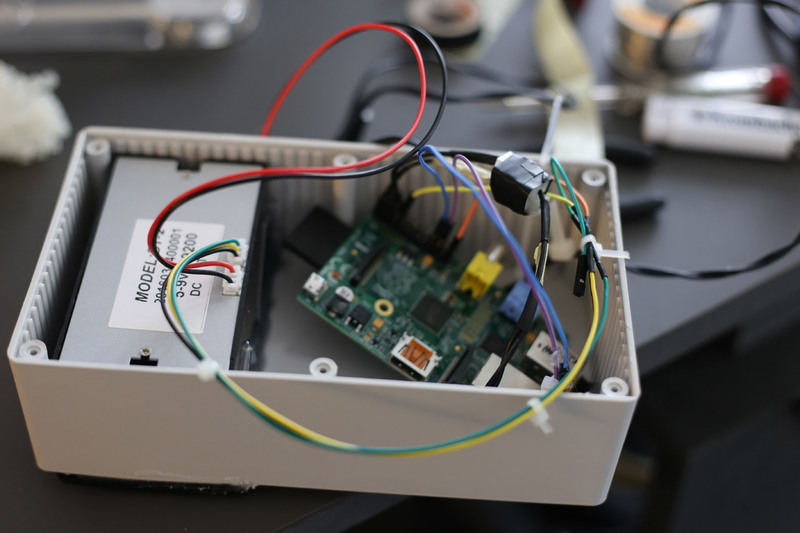 Next connect the thermal printer to your raspberry pi. The yellow cable (RX) of the printer should be connected to PIN8 of the raspberry pi. The black cable (ground) should be connected to any ground PIN of the raspberry ( e.g. PIN6 ). The last step is to configure your E-Mail access data. Do this in the config/config.php file. You need to update the lines EMAIL_SERVER, EMAIL_USER, EMAIL_PASSWORD. Make sure you checked the other settings. By default downloaded mails will be deleted from the server. Now you are ready to execute the mail script and print your mails.